WordPress sites are everywhere these days, but hiring a good developer is challenging. Before you go out and start trying random developers that may or may not work out, read this guide for how to hire the best WordPress developer for your team and decide on the best type of WordPress site for your business. Off-the-shelf WordPress themes are great for a few use cases, enabling users to go live with a simple site for your idea or small business without much overhead. If the off-the-shelf theme seems too limiting, then it’s likely you’re looking for a custom WordPress theme. When you build a custom WordPress theme, you are creating a site that is built for your specific needs and use cases. Once the site is completed, you will have a Content Management System (CMS) that not only makes it easy for you to manage content on your site but it will also include a custom design tailored to your business, and the flexibility to expand your site out as necessary with additional content and landing pages without having to modify theme code. You can select from thousands of existing themes and plugins to quickly create a simple, usable, nice looking website. However, this approach will only get you so far and is best suited to smaller, static sites for small companies with limited functionalities and limited marketing needs. For an enterprise business, it’s best to build, or hire to build, your own custom web experience. 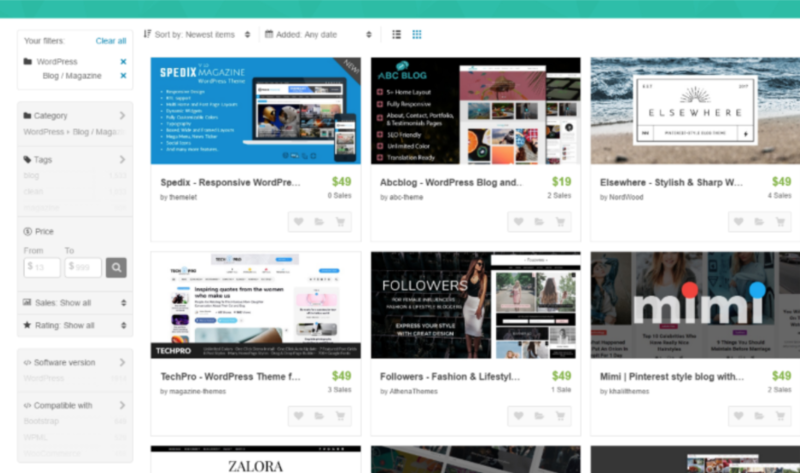 Pre-built themes are great for an SMB site, but have limitations. Developing a custom theme will create exactly what you want and need. Of course, this requires you to have deep skills designing, developing, and implementing WordPress sites. 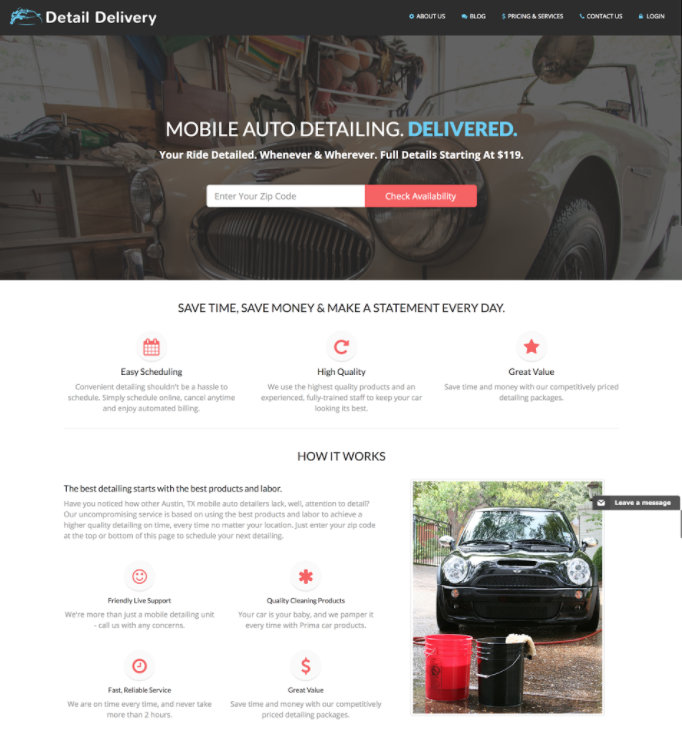 Here’s a custom WordPress site that we built for Detail Delivery. It captures the feeling of their business, presents all the important information a visitor needs, and looks much better than an off-the-shelf theme. First, it’s time to decide on which option is the best for you: a freelance WordPress developer, in-house WordPress developer, or contracted WordPress development team. Freelancers are a great option for those looking to keep costs down, but adds risks since you are relying on a single point of failure for support and updates to your site. Freelancers must be managed directly and their success (or failure) is largely dependent on the person selecting and managing them. Skill level is difficult to determine unless you’ve worked extensively with the freelancer in the past or know someone who has and offers a great recommendation. In-house developers are a great option for teams that have a large number of WordPress sites to manage, are making constant updates to the codebase, or otherwise have a large amount of support required that justifies the investment in full time personnel. If you don’t have the need for full time changes and updates to the site, the overhead of a full time WordPress developer may outweigh the benefits. It’s also hard to find full time developers, of any kind! 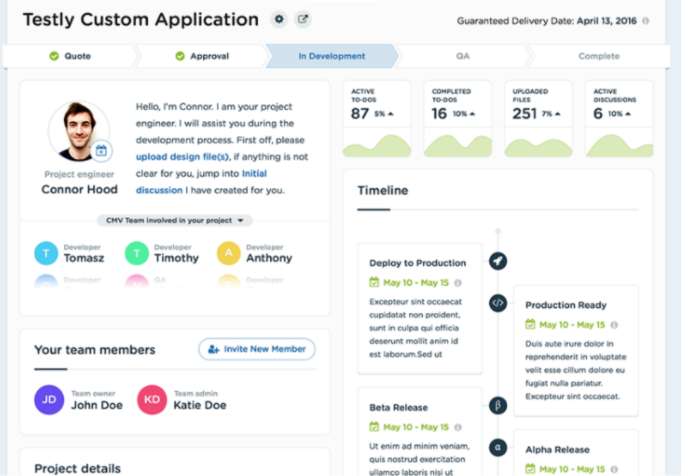 Contracted teams are a great option for teams that want a more managed process and need a team they can rely on for long term support and updates to the site. This is great for a business looking to support their Marketing or IT teams with a quality Content Management System, but don’t need or want to hire a full-time WordPress developer. A great contracted team will build your WordPress site to make it easy to manage and sustainable long term by enabling you to use it as a true Content Management System as opposed to a site that is difficult and cumbersome to edit. Once you’ve decided to go with a custom WordPress site, and have evaluated your options, how do you select your WordPress developer? Well, here are some questions to ask your candidate WordPress developer or contracting shop. Use these to help determine if they can build your CMS. What makes up a custom theme? What’s your process for setting up a custom theme? How does WordPress generate new pages? Do you modify existing themes, or write them from scratch? Can you write front-end code and WordPress/PHP code? What are some best practices for creating and styling a WordPress theme? How do you create a custom page template? How do you ensure content on the template can be edited in WordPress? How do you include CSS and JS into a WordPress theme? How often do you use WordPress plugins? What are your favorite or most-used plug-ins? How do you make a custom WordPress theme menu? How do you edit this menu in WordPress? What is a WordPress loop? How does it work? What is a shortcode? Why use it? What is a widget? Will I need one? What are the steps to create a simple plugin? Have you created a master-child WordPress theme before? What are the steps? Great, you feel confident in their technical skills to create your WordPress site. But there’s still more to consider. It’s time to plan your project. Understand what to build before building it. This may seem obvious, but you’d be surprised how many people overlook this step. First, create and share your requirements and specifications with any candidate developers. Then identify the look and feel of your site before getting started. After that determine whether or not you should customize the theme. Most small business may be able to get away with using out-of-the-box themes, but for larger companies, let’s get real. After that, be sure to include all of the project collaborators — WordPress makes it easy for others to contribute content to your CMS, with little or no training. Ask to see samples of their work. Seeing is believing. Tell us your thoughts in the comments! Do you have horror stories with freelancers or teams? Amazing successes with off the shelf themes? We’d love to hear about them! Nate McGuire is co-founder of Code My Views, where their team builds WordPress sites and all things code for agencies and businesses. He and his co-founder Connor Hood lead a team of 50 developers all over the world helping agencies, technology companies, and brands be successful at high quality software development.